...which is never a good sign. 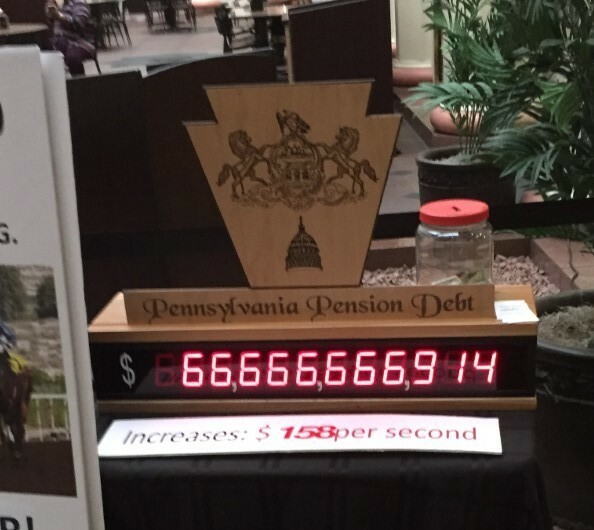 Pennsylvania's public pension debt rises $172,000 in the time it takes to drink a cup of coffee. Each day it increases $1 for every man, woman and child in Pennsylvania, or $1,500 per year for a family of four. Read more here and follow along @PAPensionDebt.